If you’ve ever wanted to learn how to make cultured vegan cheese, play backgammon, or how to give your eyes Audrey Hepburn allure with a little eyeliner technique, here’s some great news: There’s a YouTube video out there that can help. Looking for something a little deeper, perhaps? The popular video destination is teeming with possibilities to help you transform your life in myriad marvelous ways. These six channels stream positive vibes, encouragement, and good ideas when you really need them—or just when you’re doing the dishes and crave a little distraction. If you’ve ever dreamed of launching your own business—say, as a holistic nutritionist, compassionate fashion designer, or wellness coach—Marie TV is your digital nirvana. Each weekly episode is only five (or so) minutes long, but loaded with useful information and tools for would-be entrepreneurs who need a helping hand overcoming self-doubt and beginner’s fear. Once a month or so, Marie interviews an interesting personality (Arianna Huffington, Kris Carr) for 45 minutes on a range of cool and interesting topics that inspire and motivate you to chase those big dreams of yours. Before he became a warm-and-fuzzy thought leader, Jonathan Fields was a lawyer, then a yoga school owner and instructor. Today, the author and motivational speaker interviews artists, creative entrepreneurs, and other mavericks out there using their minds and talents to make the world a better place. He ends each interview with the question, What does a good life look like to you? The responses are just as fascinating in their scope and variety as they are their thought-provoking quality. The English accent and opening and closing of each video with a long, drawn-out “peace!” hooked us from the first watch, but it’s the content that keeps us coming back again and again. 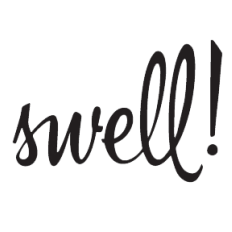 The psychologist-turned-writer-turned-self-help guru’s tagline “Diving deep once again” is all about getting to the nitty-gritty of what makes us human, and he does it well, offering feel-good advice and insights that resonate with truth and sincerity. He’s an advocate of getting out in nature, eating a plant-based diet, and shedding the negative mind-sets that keep us from becoming our best versions. What’s not to love about that?! The mother-daughter team who produce these fascinating mini-films share a love for that sweet spot where style and authenticity merge to create visual magic. While on the surface the videos look a lot like typical fashion fodder, without fail, they end up uncovering the deepest psychological motivations of the subjects and revealing their utterly relatable reasons for adopting their unique looks. Produced with sensitivity and a dash of cutting-edge intrigue, you’re almost guaranteed to become addicted to these fascinating flicks. OK, so technically, it’s not a YouTube channel, but it is a great digital escape for anyone seeking comedy relief served with a side of caffeine. 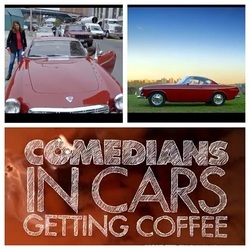 Hosted by Jerry Seinfeld, who picks up his fellow comedian guests (Louie CK, Sarah Silverman) in a car selected to match his or her personality, these short, mostly unscripted 10-to-20 minute episodes are just plain fun—and sometimes that’s exactly what you need. OK, so #6 on our list isn't actually a YouTube channel at all, but it is watchable online and we really love it!